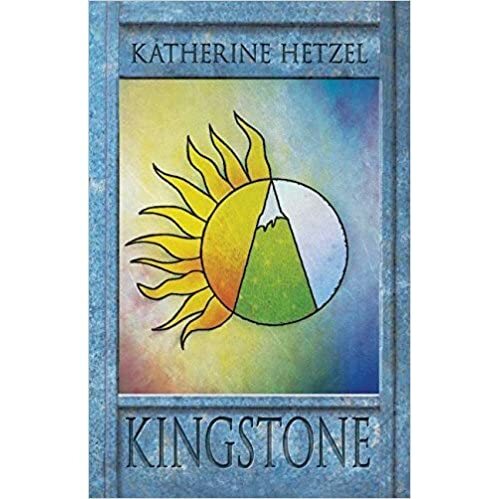 Katherine Hetzel's second novel Kingstone introduces us to a world in which the triple gods reign supreme, where temples lie in every corner and where a devious plot is hatching. From the very first page, Hetzel's descriptions of Indigon will draw you into a world of fantasy, treachery and adventure. The hero of this story is Katia, a simple temple novice who is struggling to learn the arts and nuances of religion. Katia is written is such a way that makes it impossible not to feel sympathetic for her. Her ambition and determination make her a compelling character, despite her flaws. Perhaps it is those flaws, in fact, that make Katia such a well rounded character. Even while disguised as a boy, Katia wheedles her way into your heart, so that by the climax you are left on the edge of your seat, heart pounding and praying that she will survive. This novel is most definitely a page turner; each moment is filled with action or suspense, and the story never loses speed or tension. From the moment Katia finds herself in the wrong place at the wrong time - or perhaps it is the right place at the right time - her faith guides her to take the Kingstone and run. We see her moral struggle as she breaks rules and laws to get the stone to its final destination: Eraton and the prince. The story has essentially a religious plot line, Katia's desire to work in the temple and her faith being the main driving forces behind the story. There are so many intriguing characters, minor characters and antagonists included. I wanted to know more about all of them. Katherine is a splendid writer who kept me interested through the entire book and still managed to shock me with the ending. This book is definitely worth a read. Every child knows the wonderful story of The Wizard of Oz by L. Frank Baum: a light-hearted children’s tale of a wicked witch and a pair of magical shoes. Gregory Maguire took this world and twisted it into something new, dark and political. In Wicked Maguire built a world where talking animals, dwarves and magic are real; but the world he envisioned involves issues of race, class and a corrupted dictator. He creates a sense of an entirely original world that has its own dialect, quirks, charms and hidden secrets. The story of Elphaba Thropp will leave you unsettled, but intrigued to the last page. Born with unnaturally green skin, Elphaba faces discrimination from the beginning, though perhaps this is what makes her such an intriguing character. Sarcastic, witty and cynical, Maguire writes her as a protagonist you cannot help but root for. The main secondary character is Glinda, Elphaba’s roommate due to an unfortunate accident. She is pompous and childish, which is what makes her development throughout the book even more satisfying. Over the many years that the book takes place, not only do we see the growth of their relationships and the growth of all the characters within the book, but we are introduced to the mystery of the Wizard, a dictator who has begun dark workings reminiscent of Nazism. The issue of racism is the main dilemma within the book, seen not only with the segregation of Animals but with the Vinkus and Quadlings as well. It is the motivation behind many of Elphaba’s actions and sets a wondrously dark theme to the whole story. The religious undertones, though not essential to the plot, help create a realistic world, for in a world where there is magic wouldn’t there be a great controversy about religion? I personally was captivated by the religions Maguire has created, and can only attribute this to his skill in writing something unique but relatable. 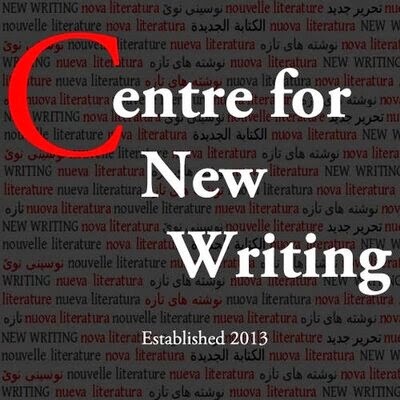 Inspired by the likes of Orwell and C.S. Lewis, Maguire has been unafraid of broaching subjects that shroud the story in a sinister mystery: death, discrimination and torture, awaiting young Miss Elphaba around every corner. As mysteries unfold and the intent of the Wizard comes to light, we witness the formation of his private army, and Elphaba living underground. Maguire amps up the tension in this final section as we wonder whether Elphaba will survive. This novel, though quite long, is an intriguing read that introduces a completely new take on the Land of Oz. 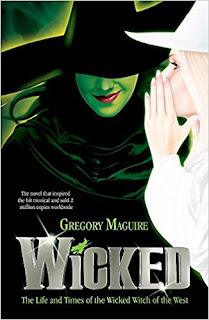 Filled with tragedy and suspense it does not fail to create empathy for a whole host of characters, including multiple animals and Miss Elphaba Thropp from start to finish. Perhaps this novel's greatest asset is, as I’ve mentioned before, the unique nature of the world it presents: dark though it is, it draws one in and I for one will remember it for a long time to come. Some of the best years of my life were in the first half of the 1980s. Although I didn’t notice much at the time, in this post-punk era there were huge social and political changes afoot. In some ways Alexei Sayle was an embodiment of a quiet revolution. From his energetic TV politically themed stand up performances to his pivotal role in The Young Ones he was an enlightening and refreshing change from the hackneyed comedians who dominated the 1970s. 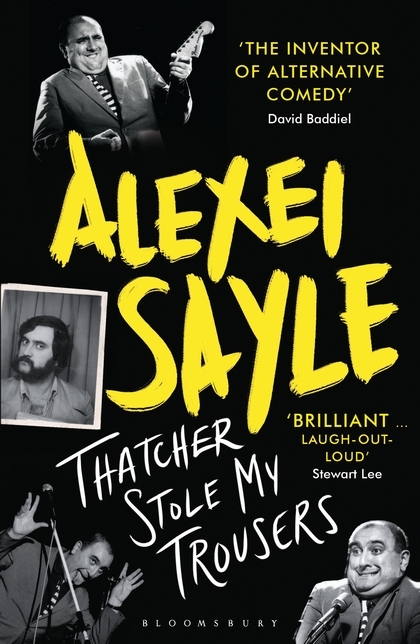 Thatcher Stole My Trousers is about Alexei Sayle’s journey from 1950s Liverpool to the fame he found in London in the 1980s. Whilst the autobiography acknowledges the TV career, it is in the main about the people and experiences which led him there. The book skilfully weaves together the numerous threads of his life. 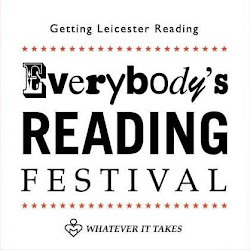 Alexei’s humour shines through with amusing anecdotes appearing at regular intervals through the book. Sometimes we assume that successful performers have been working at it from a young age. This is not the case with Alexei. His political views are well known and the book acknowledges his committed associations with various communist groups. The first of these were through his parents. His formative educational years were spent as an art student at Southport College. This was followed by Chelsea College of Art and Design. None of these would suggest a successful career as a comedic performer. Yet from his first steps at the Comedy Store in 1979 he has had brilliant career in comedy. Alexei is clearly a great communicator, performer and a natural comedian. Was this from the well-known Liverpudlian gene? I had also forgotten his top-twenty chart hit with “Ullo John! Gotta New Motor?” He also had a number of roles in films such as Gorky Park. There is a great deal of honesty within the text and he seems open to sharing stories where he can only be described as a complete and utter prat. He is equally honest about his personal relationships and how they formed his life. This is particularly true of both his mother Molly and his wife Linda. Is this the best writing you will see? Probably not, but it does not offend either. However, for anyone who lived through the 1980s it is a fascinating read. In the end I was both informed and entertained by the book. Robb Doyle currently teaches Product Design Engineering at Loughborough University with over 35 years experience. He is also a keen amateur photographer, having won several awards. He works as part of The Bradgate Park Trust, in both the photography voluntary team and the education voluntary team.